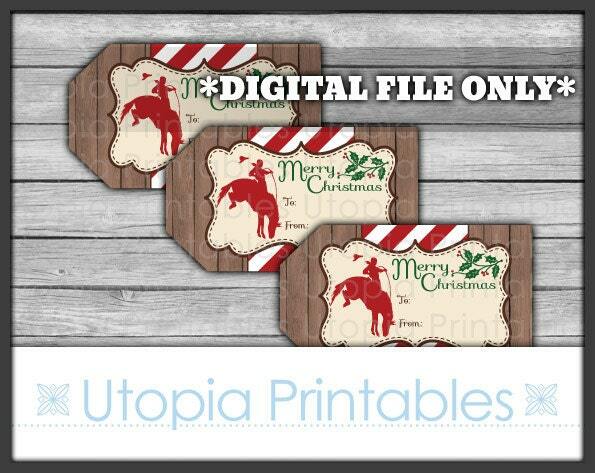 A digital set of printable cowboy Christmas gift tags with a country western theme and rustic wood background. Each tag measures 2x3.5 inches. File dimensions: 300dpi; JPEG format; six tags on one 8.5x11in page.